As a woman, keeping your facial skin smooth and soft is a big project. Your biggest enemy is, of course, the wrinkles that creep up your face when you are not looking. To battle the wrinkles, you make many friends – cosmeticians, plastic surgeons, beauty saloons, and these friends recommend many weapons such as cosmetics, beauty routines and plastic surgeries, most of which either require high upfront cost or are high-maintenance. 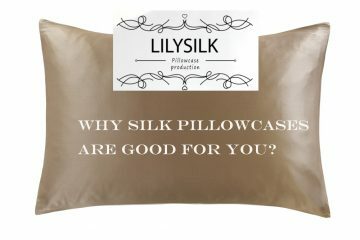 Today, we are going to introduce you to something that is the opposite of expensive yet offers benefits that are not only long-lasting but also requires little attention – silk pillowcases. A little background information on these pillowcases first: the silk pillowcases we are talking about refers specifically to pillowcases made with 100% pure long-strand Mulberry silk. The Mulberry silk is produced by the silkworms of the Bombyx Mori moths and have been cultivated and enjoyed by ancient Chinese royalties and aristocrats for over 2000 years. Mulberry silk is known for its smooth texture, light weight and soft touch, and is considered luxury by people around the world in history. So how are these silk pillowcases helpful in providing skin care, and more importantly, how do they help prevent wrinkles? To answer this question, we first need to take a look at the nature of facial wrinkles. 1. How are wrinkles formed? Generally speaking, your skin looks supple and smooth because of the collagen underneath “pushing” your skin out. Applying force to your skin will cause temporary disfiguration to the site at which the force is applied, which causes the collagen underneath the surface of your skin to deform and be damaged. When you are younger, this damage is easily reparable due to fast metabolism, and as long as the nutrition intake is sufficient, your body will be able to convert the nutrients in food to collagen and mend the damaged skin in a short period of time. This is why wrinkles are harder to find in younger people. However, as one ages, metabolism tends to slow down, which means that intaking the same amount of nutrients doesn’t mean your body can use these nutrients as efficiently, and as such, collagen damage takes longer and longer to repair, and eventually your body will decide that it is no longer worthwhile to spend so much resources on repairing your skin since other parts of your body are more vital to your sustained survival – this is the time when you are gaining wrinkles rapidly. 2. How do we reduce/prevent wrinkles? Given how the wrinkles form, it’s obvious there are two approaches to solve the wrinkle problem. One is to increase nutrient intake efficiency, i.e. construct faster than destruct, and the other is to reduce incoming damage so there isn’t too much to repair to begin with. This is where the skin care products shine – they contain nutrients needed by the skin to regenerate and the way they are administered allow these nutrients to be directly absorbed by your skin. The drawback, of course, is that good skin care products are often very expensive, and the not-so-good ones may end up doing more harm than good to your skin. If you take a look at the 24 hours everybody has in a day, you would find at least 12 of them are spent outside where your skin is subjected to all kinds of damage sources such as direct sunlight, dry wind, heat, pollutants, etc, but these are simply unavoidable since one needs to work to survive. That leaves 12 hours of in-door time, and it is during these 12 hours one can make an effort to reduce incoming damage. Out of these 12 hours, what occupies the biggest chunk? Sleep, without a doubt. This is where the silk pillowcases come in to make their contribution. When you sleep, your facial skin is in direct contact with your pillowcase (unless you remain a face-up posture all-night long, that is). When you move your head around, your facial skin would rub on the surface of the pillowcase. Naturally, this causes your skin to be pushed and folded at the line of contact due to the pillowcase surface “catching” your skin, and the coarser your pillowcase is, the worst the folding gets – and we all know what these foldings are: they are the initial wrinkles on your face. Silk pillowcases really shine here because of its extremely low surface friction. When you rub your face against silk, your skin would simply slide instead of being caught, and if your skin is not caught, there is no fold which means wrinkles don’t even have a chance of forming during your sleep. This also reduces the pressure of self-reparing your facial skin has during the night to mend the damage done to it during the day, resulting in better regeneration overall. – Temperature regulation: This helps with overheating issues if you like to sleep on your side which may cause one side of your face to overheat due to prolonged contact with the surface of the pillowcase. Overheating causes sweating which results in accumulation of minerals on your face (from sweat). – Moisture wicking: Again, this helps reduce the amount of mineral deposits on your face because perspiration is readily absorbed by the silk. – Hypoallergenic: Silk is hypoallergenic and is efficient in suppressing allergic skin reactions, prevent your skin from swelling up. Finally, a word on hair care. Sleeping on a silk pillowcase not only helps prevent face wrinkles, the smoothness also helps preserve your hair. Messy morning hair is caused by the same reason as sleep wrinkles – hair strands getting caught between your head and the pillowcase surface and “pulled off” when your head turns. The smooth surface of silk will minimize the chance of hair getting caught and thus help your hair to stay wholesome throughout the night. If you don’t like to see broken hair strands every morning or wearing sleep caps, using a silk pillowcase is an efficient solution that will give you naturally nice hair in the morning.